Pickled Polish Sausage, Pork Hocks, Eggs, Herring, Turkey Gizzards and More! Milwaukee, Wisconsin. 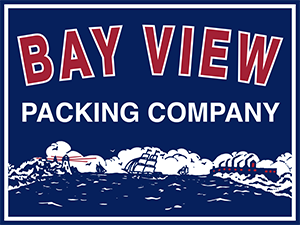 Bay View Packing started in 1923 when three brothers banded together to make quality pickled meats for their customers. Over the years, their skills were passed from one generation to the next, each generation growing the company into the successful operation you see today. Bay View Packing and its employees are dedicated to providing pickled delicacies to discriminating buyers. Produced with skills and Old World traditions passed on through five generations, Bay View Packing assures patrons of high-quality, gourmet products. Read "Family Values Keep Bay View Packing Thriving" on the Sconnie Days blog!